Prepare the springform by rapping the outside with aluminum foil, so that no water leaks into it while baking. Prepare the crust by either putting the biscuits in a plastic bag and crush them to little crumbs or put them into a food processor. Then you melt down the butter and mix the biscuit crumbs with the butter. Press the crust equally on the bottom of the spring form. Put the springform with the crust in the fridge for at least 20 minutes. 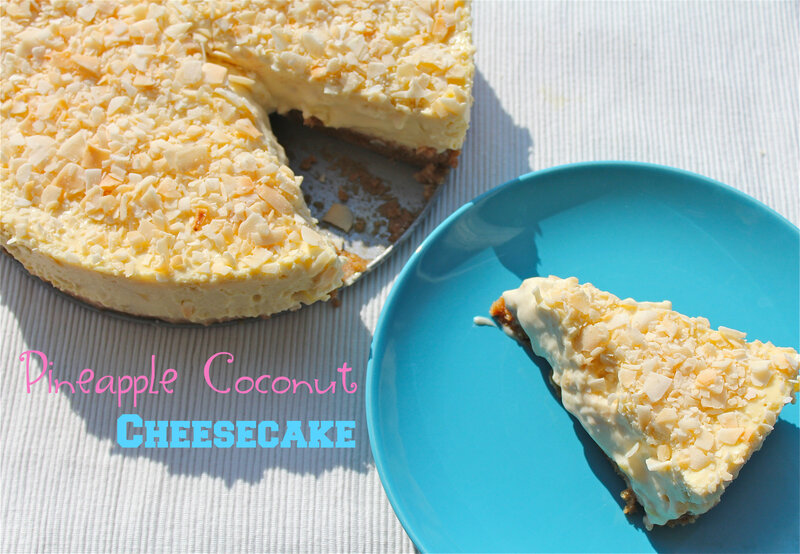 Mix the cream cheese, Sugar, Eggs, grated Coconut and Coconut Cream well. Melt the White Chocolate: Break the chocolate in pieces in a little bowl, then poor boiling hot water over it. Wait for a few minutes. Poor off the water. Add the melted chocolate to the Cream Cheese and mix well. 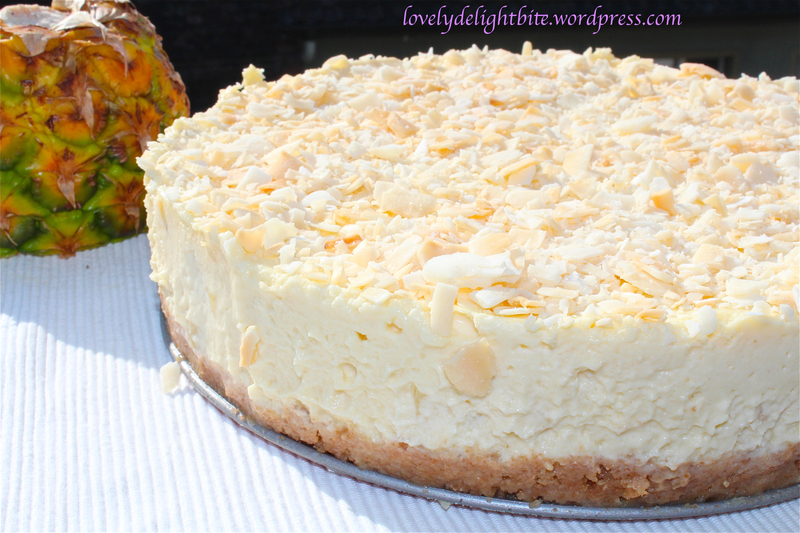 At the end you mix the fresh Pineapple pieces gently underneath it with a spoon. Fill the mixture into the springform. Then put the springform in a high tin and fill the tin with water. (So the top of the cake won’t be dry and crack). Put the tin with the springform in the middle of the oven. Bake the cheesecake for 1 hour. Then take the form out of the tin and let it cool to room temperature. Cover it with plastic wrap and put it in the fridge for a few hours or over night. 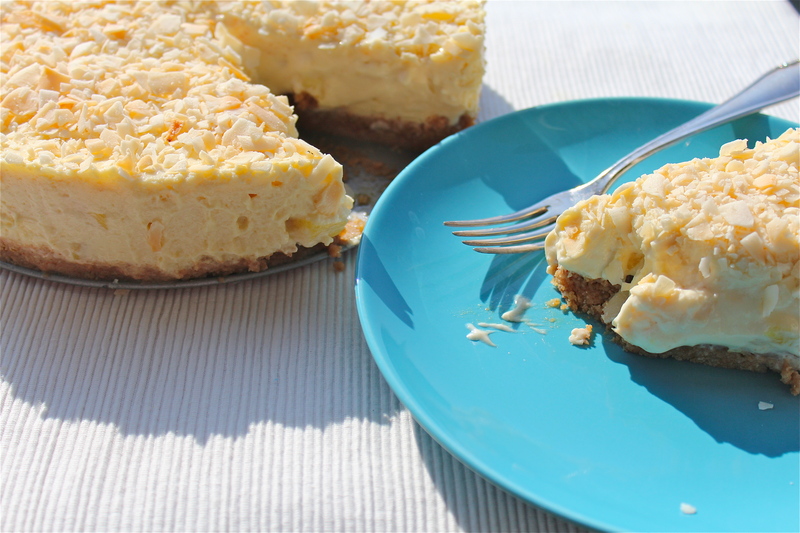 Before you serve it: Roast the Coconut flakes in a pan without Oil until they are light brown and sprinkle it over the Cheesecake. 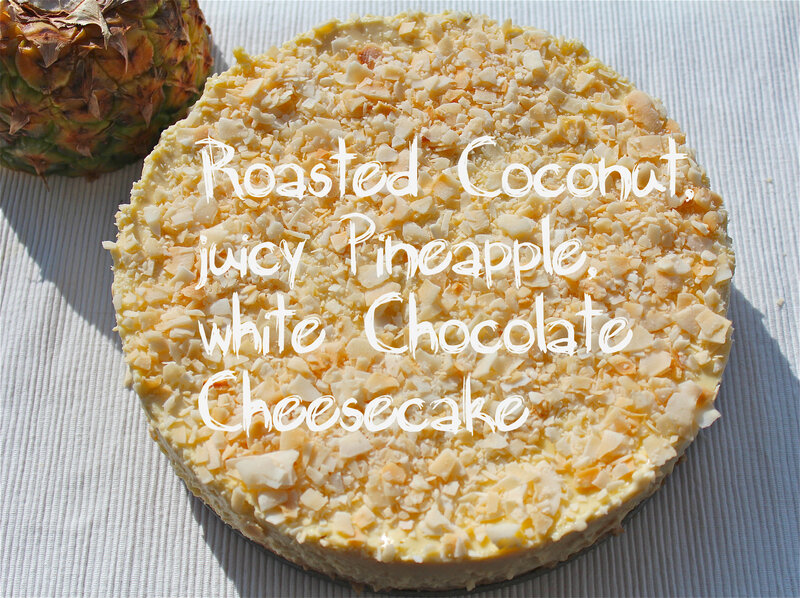 Pineapple and coconut is one of my favourite combos! Lovely dessert!